Reading to Learn with Literacy Mats makes reading comprehension easier than ever! 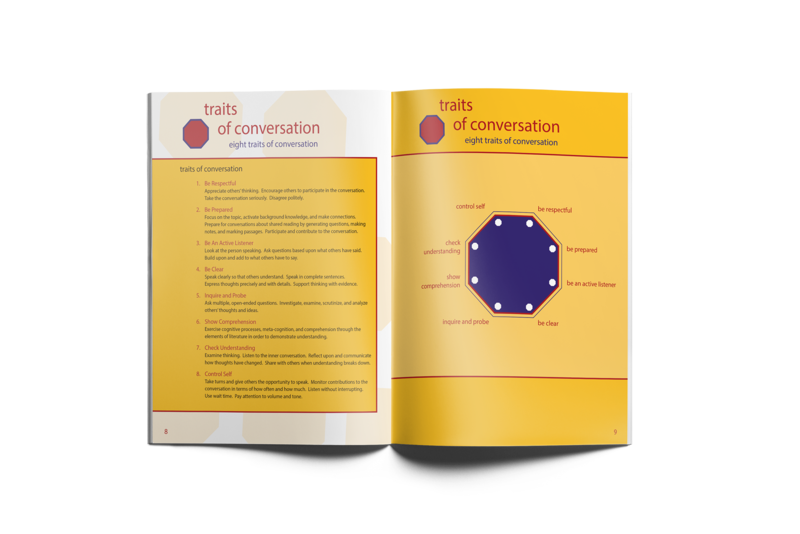 Literacy Mats is an innovative book and learning tool to develop the fundamentals of literacy for lifelong learning — Reading, Writing, Conversation and Presentation — so that they become a habit of mind. 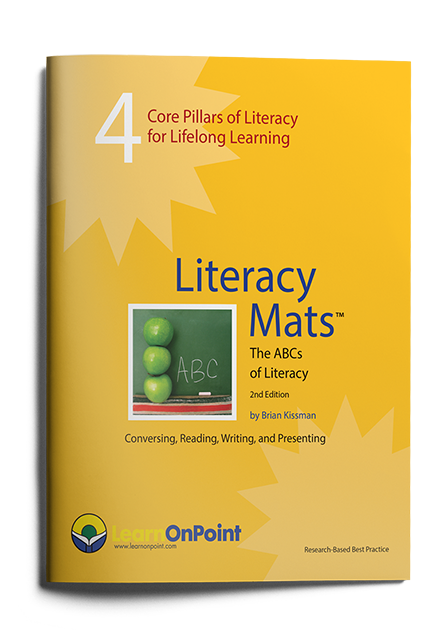 Literacy Mats is a curriculum off the shelf — lesson learning points, enduring understandings, prompts, graphic organizers, rubrics, and more! Change a student’s life. Make a small investment with a huge return! Literacy Mats is an innovative and easy-to-implement teaching tool for educators and parents and an engaging learning tool for students from grade 2 through 12 and beyond that focuses on developing the language arts (reading, writing, conversation, and presentation) as key skills to lifelong learning. 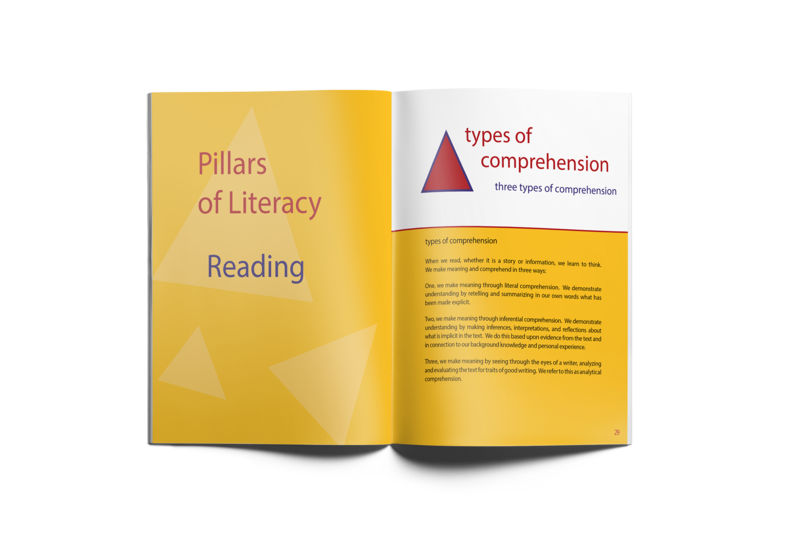 So how is Literacy Mats different from other reading and language arts learning tools and how is lifelong learning achieved? for all grade levels and beyond. Written at an upper elementary reading level, Literacy Mats is a tool to be used recursively year after year beginning in second or third grade. 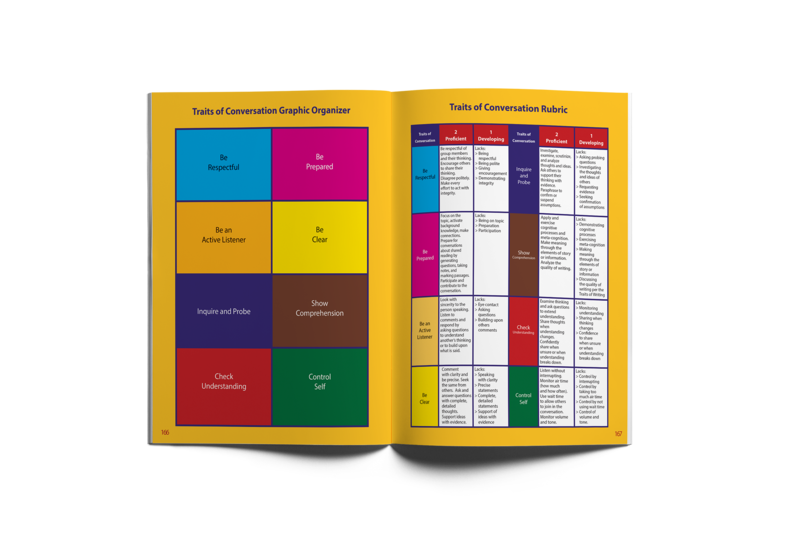 As we grow and mature, the book’s prompts, questions, graphic organizers, and rubrics take on a deeper meaning. A question such as “What do you think about the character’s desires and struggles?” works with a simple chapter book at an elementary level or with literature at the high school or university level. Making meaning matches the level of reading. Each student has a copy of Literacy Mats in class and at home. 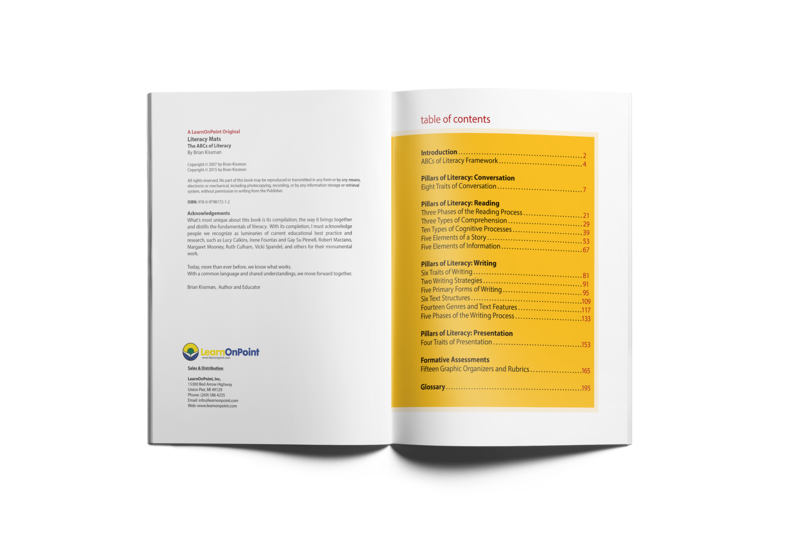 of learning through the lens of literacy not only across grade levels for language arts, but also across content areas such as social studies and science. With Literacy Mats, over time, the fundamentals of literacy gain depth and become a habit of mind. 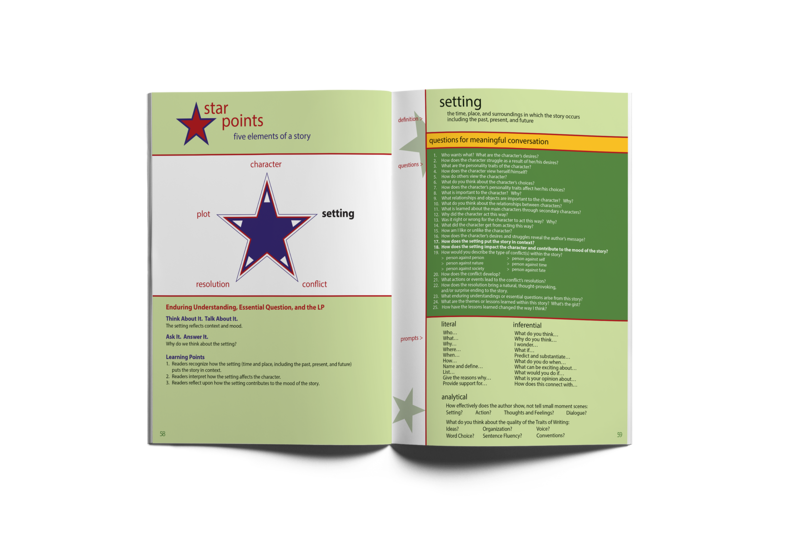 Literacy Mats has everything I need to plan engaging lessons for reading, writing, speaking, and listening - learning objectives, enduring understandings, essential questions, graphic organizers, and rubrics. Learning becomes explicit and intentional. It is amazing how this learning tool is used by students, parents, and teachers alike. It truly is a curriculum off the shelf. The past two years that I worked with Mr. Kissman have earned me more professional growth than I have ever had in such a short period of time. His knowledge and experience in the field of literacy and learning have had a great impact on the whole school, as well as on individual teachers and students. His passion and dedication to the profession are quite motivating for me as well as the other faculty to study, attempt, and implement the latest techniques that research has proven to be most beneficial for the learning process. As the team of the elementary school, we noticed that in one year the students' academic achievement had prominently improved in reading and writing and thinking. This makes me realize that the impact of Mr. Kissman's program exceeds any other approach I have experienced. If this approach to teaching is applied across different disciplines, students' growth in all academic areas will exceed any previous years. I realize the impact and the efforts of Mr. Kissman's work must proceed and develop in the years to come to insure that students are working to their full potential at all times and excel in learning. Brian has had a huge impact on teaching and learning at the English Modern School. He is passionate about literacy and learning, and has a very clear vision of how and what children learn. His lesson delivery is dynamic and very engaging. His work for teachers, students, and parents (Phonics Things and Literacy Mats) has raised academic achievement throughout the school. Professional development is hands-on and is research-based on the most effective best practices from around the world. Brian's modeling of lessons for teachers is very structured and clear. His creative delivery of lessons to students help teachers improve and reflect upon their own practices through encouraging them to reflect upon best practices modeled. His workshops for parents build the partnership between the school and home. Brian's own work on Conversation, Reading, Writing, and Presentation (Phonics Things and Literacy Mats) is hugely innovative. Clear structures and graphic organizers have made the delivery of the fundamentals of literacy very effective. Through Brian's work this past school year, we have transformed learning at our school and the students' attitude toward education. Students who had great difficulty in Language Arts lessons are now independent, guiding their own learning, and becoming lifelong learners. They are reading and writing at levels much higher than before. Teachers are much more aware of how to deliver quality lessons so that students are engaged and enriched in their learning. The legacy of Brian Kissman will resonate at EMS for years to come. The methodology that he has implemented and the workshop model that he has developed has already, in just 18 months, proved to be extremely effective and successful. As it is built upon over the coming years, the end result will ensure that EMS becomes a shining light in Qatar Education. The results of Brian's approach and training are outstanding. 90% of my students improved their reading comprehension and writing skills. They developed a sense of responsibility for their own learning and became more critical on themselves as dynamic achievers. They enjoy reading and writing, and they are more engaged and interested in school activities and learning. It is really amazing to witness the changes that occurred throughout the school in such a short period of time.